and feeling very fortunate to be living in an era of digital cameras and photo editing software. Julia used the wet collodion process. to make the collodion form an even coating. The next step was to dip the plate into the silver nitrate sensitizing bath." while quickly and evenly pouring the developing solution over it. which was necessary to protect the coating before positives could be printed on it. "as hot as the hand will bear". 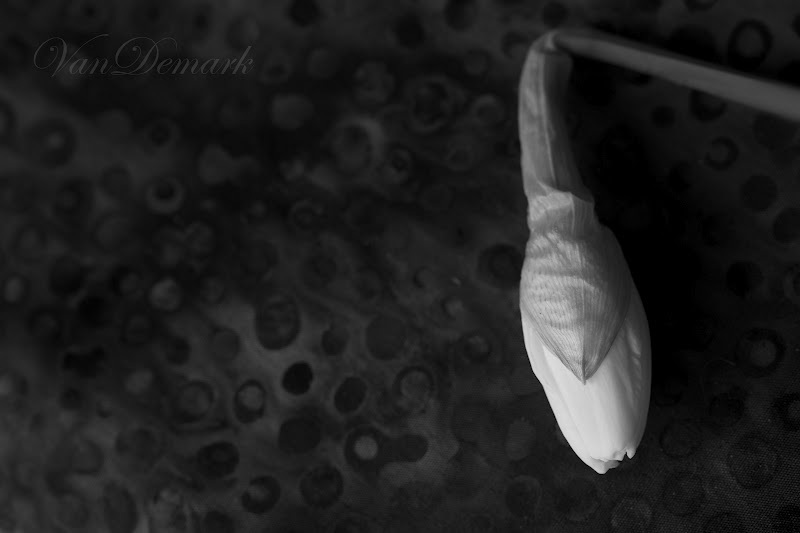 as the collodion and developing solutions." but it still had to be sensitized with silver chloride - hence the term "silver print." compared with the making of the negative. during which the image slowly appeared. Oh my, we have it easy! Tudor Splendor, has been juried into the Bead Dreams Competition. This exhibition will have pieces from all over the world in it. Wishing you happiness and good fortune in all your creative endeavors. See you again in a couple weeks. 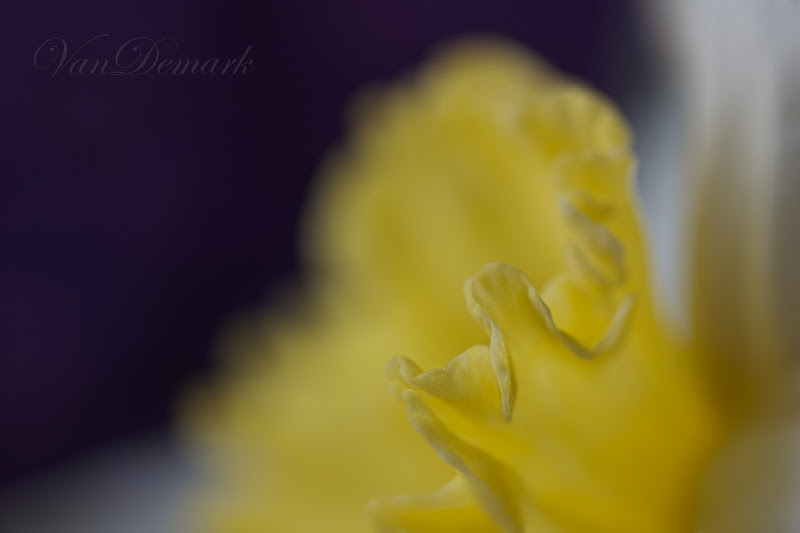 Beautiful macro detail on the two yellow daffodils with just the frilly edge in focus. I like the bud in black and white too, especially the first shot where I get a glimpse of the other flowers and leaves and the decorated background. How interesting to read about Julia Margaret Cameron. Yes, we are fortunate to have things easier, and not just in photography! Congratulations on your Tudor Splendor necklace being juried into the Bead Dreams Competition! Well done! Congrats on the nomination - how exciting. 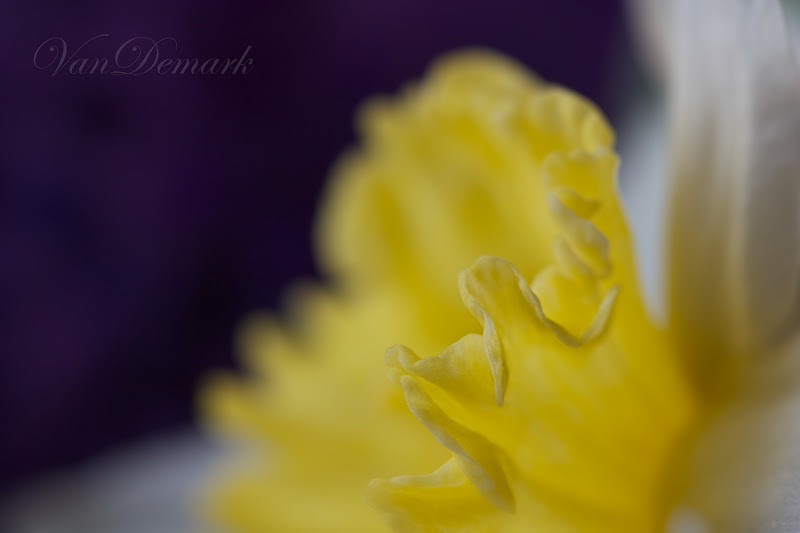 Such creamy goodness in that daffodil ruffle. Congratulations also. So true!! What an amazing age we live in with technology. I can't imagine the discipline it took to be a photographer back then. Lovely, lovely photos, Anna. Congratulations on your acceptance-how exciting!!!! Such stunning images, Anna, those 2 very different looks at a daffodil! With you, I'm very grateful to live in the digital age. So glad you got in the juried competition. Nice going! Lovely pictures you have here. Especially your first shots of the yellow flower. I love how you have just the front petal in focus. Congratulations on getting into the competition and good luck with it. I'm so glad we don't have to work like that to make images - it would put you off a wee bit wouldn't it? Yes, we do have it easy...even from the days of darkrooms not all that very long ago. Congrats on the necklace, you've been having a lot of success! I am so happy for you that you have daffodils blooming that you can photograph, and enjoy spring colors!! They are both show such an interesting angle, and I really like seeing their ruffled edge right up close, with the rest out of focus. Well, another congratulations for your splendid necklace. What an exciting year you are having. I enjoyed you sharing how the old photo processes were done. We definitely do have it made with digital, and computer software. Gorgeous images, Anna! 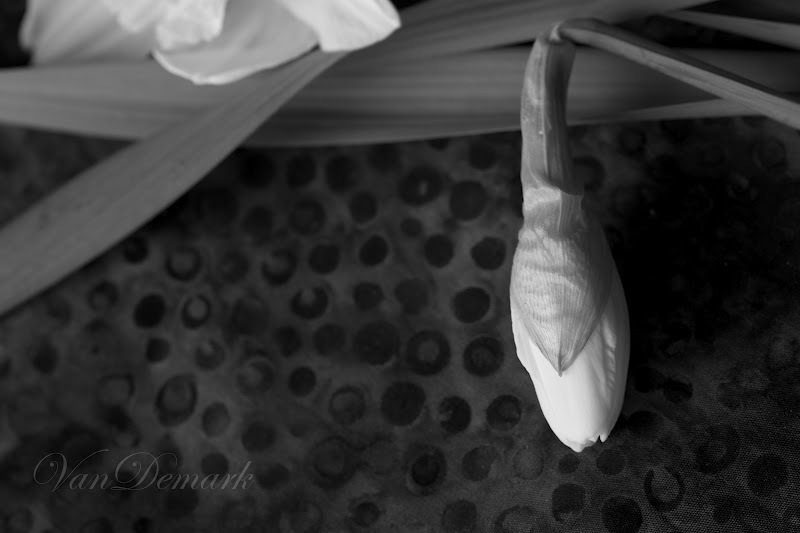 I love the black and white of the sweet narcissus. Elegant and timeless. I am also very appreciative of the technology of photography that we use today. I wonder what it will be like in another 100 years? Congratulations on the necklace showing. How lovely for you! I hope all is well for you dear Anna ! Truly a labor of love, and something I could never see myself being able to accomplish, but then again, you just never know. This sounds like a great book Anna. Thank you for sharing it here. Will definitely be checking it out. I absolutely love your daffodils, and a very, very big congratulations to you. This is so truly well-deserved! These are just amazing! Really nice work! Thank you for showing me what great photos look like! It must have been so much more time consuming for photographers back in the days before digital. I was in my 20s when purchasing my first digital camera and remember all the trips prior when we would snap photos sparingly so the film would not be wasted. Then having to keep fingers crossed when developing the film in hopes that the photos came out great! Congratulations on your juried necklace. Again you have impressed me with these pictures. I really like the art you put in them. Splendid selective focus in these macro images. always such a delight and pleasure to visit you. I enjoy the insights that you share and will most definitely be checking out the book. Congrats on Tudor Splendor. you are very gifted and deserving of recognition. I've recovered from the nasty and am feeling stronger - thanks for your kind thoughts. An email will be forthcoming. happy week to you my friend. Goodness, don't we just have it easy! Would I have taken up photography if I'd had to do all that? I'll never know, but I think I'm put off a bit even by faffing around with film. Three cheers for digital! Congratulations on your necklace; will you be putting a photo of it on here?